"Walking—limping—toward the temple's tall open doors sent his mind reeling. It was like trying to walk into an inferno, or swim through a tidal wave. He put his head down and pushed back, pushed through, feeling the drag against his bones and in his blood. Feeling the Sith's hatred corroding him like acid. DIE JEDI, DIE JEDI, DIE JEDI, DIE. Awkward, nearly crippled, nearly weeping because the the light side had been so long denied him, because the shouting was so loud, because his body wanted to obey it, he pushed over the temple threshold and into a place that was anathema to him … that hated him as though it were sentient … that with every step and gasping breath tried to end him in the Force. Every step he took was torture. The inferno was inside him now, burning him alive. Almost sightless, hazily aware that the temple was shuddering—that he was shuddering—he fell against the wall and began blindly groping from alcove to alcove for the artifact responsible for his torment. For the hateful thing that wanted him to die. When his fingers closed around it at last he thought his bones had burst into flame. 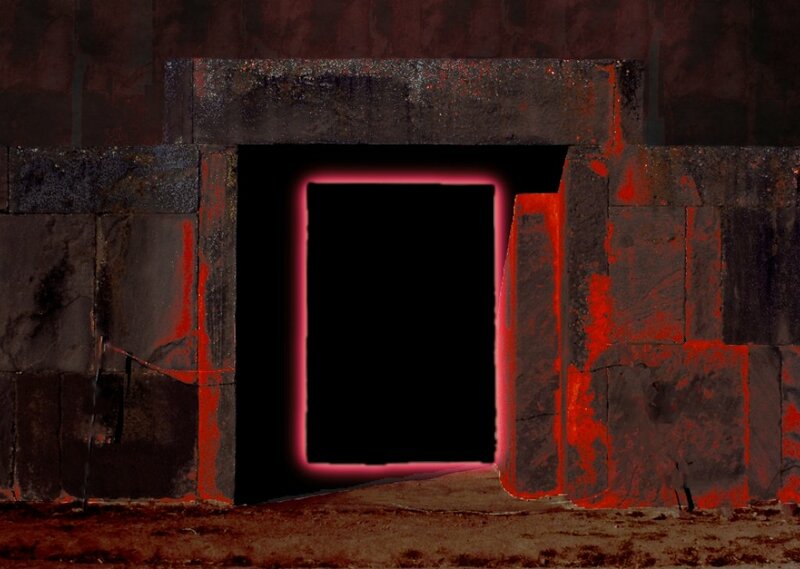 Through a smearing crimson haze he stared at what he held: an ancient black glass pyramid, Sith sigils tracing its surface blood-red. Holocron." Comments for "Zigoola Sith Temple"
License details for "Zigoola Sith Temple"